Or Shalom honours Rabbis who have professionally served Or Shalom and continue to be part of Jewish Renewal and the Or Shalom community. Rabbi Daniel served as the co-founding rabbi of Or Shalom together with Rabbi Hanna Tiferet from 1978-1987. As a certified mediator, Rabbi Daniel co-founded a successful mediation program at Dartmouth College, where he was Jewish Chaplain and rabbi for the Upper Valley Jewish Community from 1987-97 as well guiding the development and construction of the Center for Jewish Life at Dartmouth, the acquisition of a Jewish cemetery, and religious leadership for the local Muslim community. Rabbi Daniel then became the Rabbinic Director of ALEPH: Alliance for Jewish Renewal and, later, its Director of Spiritual Resources. In that capacity, he founded the ALEPH Bet Midrash which, under the new umbrella of the Integral Halachah Institute (IHI), edits Reb Zalman’s teachings, produces Siddur Kol Koreh, and develops resources based on Reb Zalman’s concept of Integral Halachah, many of which are shared on his occasional blog. He is the founder of ALEPH Canada and continues as its Rabbinic Director. ALEPH Canada is now the home of two major ALEPH projects, the IHI and Sacred Foods. He was a founding member of the governing va’ad of the ALEPH Ordination Program, the chair of its rabbinic texts department, and teacher of halachic process to senior rabbinical students. Reb Daniel was the first person to receive semicha from Rabbi Zalman Schachter-Shalomi. He has a BA from Rutgers University and an MA from Temple University. He trained and received a certificate in Conflict Resolution from the Justice Institute of British Columbia. 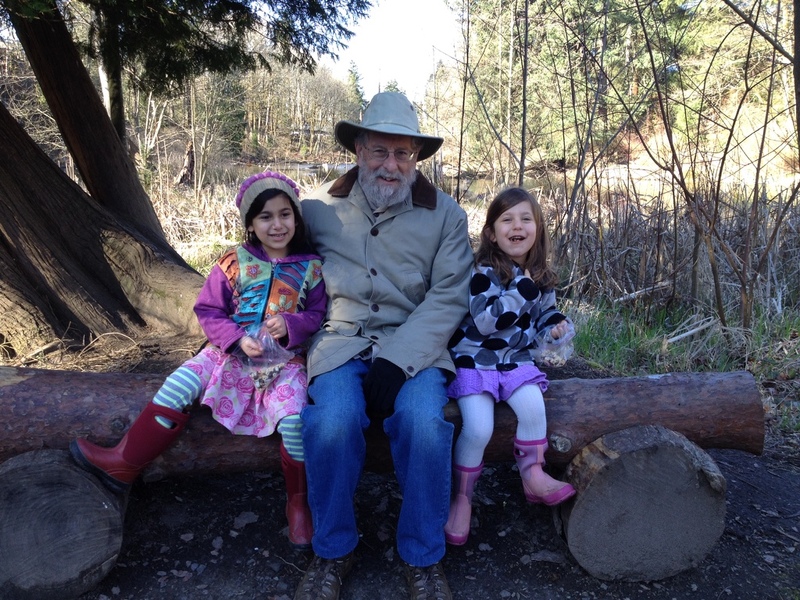 Reb Daniel is the father of three wonderful young men and now grandfather of Eden Genie and Avna Shulamit. He lives on Hornby Island, where he tends a garden, cuts and splits his winter firewood, takes walks along the Pacific shore, serves as the vice-president of the Hornby Island Residents and Ratepayers Association, and continues to write and teach. Rabbi Hanna co-founded Congregation Or Shalom in Vancouver, British Columbia from 1978-1987 with her husband, Rabbi Daniel Siegel. They helped to revitalize the Upper Valley Jewish Community in Hanover, NH from 1987-1997 and then served as co-spiritual leaders for Congregation B’nai Or of Boston, MA from 1999-2006. I was at Or Shalom this past Shabbat (Feb. 4th). Inspired by my visit, I dedicated The Anthology of Jewish Music’s last radio broadcast (Feb. 7th) to all the folks and the work they do at Or Shalom. The songs on I chose for this broadcast, hopefully reflect something of the positive experience I had at your synagogue. (Sorry I had to leave at the start of the d’rash.